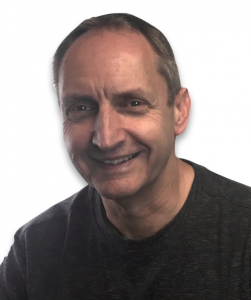 Mike is a Transformation Professional and Learning Leader who helps leaders and organisations to solve the problems that they have not been able to solve elsewhere. He works with the underlying mental, behavioural and deeper innate dynamics that drive people’s and organisations’ thinking and actions. They learn how to tap into their inner and outer capabilities in transformational ways and develop behaviours and qualities that are flexible and supportive of the challenges of an increasingly uncertain and complex world. The nature of Mike’s approach and expertise makes it suitable for most areas in business that need to maintain its performance ability. This includes Vision, Purpose, Self-Actualising Leadership & Organisational Cultures, Strategic Thinking, Self-Leadership, Customer Experience & Relationships, Staff Management, Communicating with Impact, Conflict Resolution, Transformational Coaching, Public Speaking, Sales and Sales Management. A former 5 Star hospitality specialist with the Hyatt International Hotel Group, he has presented to and worked with clients from the private and public sector that include the Hilton Hotel Group, SKYCITY Casino, Accor Hotel Group, Beyond Imagination Entertainment, Hughes Limousines, Roche Pharmaceuticals, SA Local Government, DENR, DFEEST, DFC, TAFE SA, South Australian Cricket Assocation, Telstra, ANZ Bank, Guide Dogs SA.NT. Rural Bank, SA Health, Toop & Toop, Brock Harcourts, Professionals, RAA, City of Salisbury, Orana, Adelaide Crows, Datacom SA and the University of Adelaide. Additionally, he is an experienced facilitator and program co-ordinator with TAFE SA teaching from Certificate III to Advanced Diploma Level in Police Studies, Frontline Management, Government, Local Government, Tourism, Project Management and Conveyancing in the areas of Leadership, Change, Customer Service, Communication, Conflict Management, Marketing, Work Priorities, Workplace Relationships, Client Relationships, Workplace Diversity, Team Effectiveness, Workplace Information Systems and Continuous Improvement. Mike’s thinking is influenced, amongst others, by the cognitive behavioural fields of Neuro Linguistic Programming (NLP), Applied Neuro Synergy (ANS), in which he is an Internationally Certified Trainer & Master Practitioner and Neuro-Semantics (NS) and the field of Structural Dynamics (the Creative Process), systems dynamics and humanistic psychology. He is tertiary qualified in Human Resources, Organisational Development & Change, and Training & Development. Mike served for 3 years as Convenor of the AHRI SA Organisational Design & Development Network and as well as a former Executive Director of the SA Chapter of the National Speakers Association of Australia (now Professional Speakers Assocation of Australia). His methodology is designed to encourage self reliance, flexibility, motivation, creativity, and endurance in individuals, teams and organisations. His programs are delivered as Coaching Sessions, Seminars, Workshops and Keynotes. For bookings and further details call Mike on +61 (0)419 866 427 or email click here!